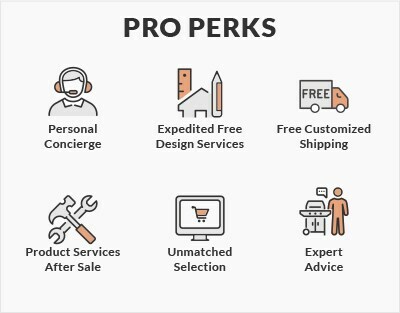 Becoming a BBQGuys Pro includes customized service and simplified project planning specifically for verified contractors, home builders, designers & decorators, and restaurant, hotel & resort property managers. Our dedicated team of experts have been creating outdoor dream spaces since 1998, working closely with businesses to ensure success. We are here to make transactions between you and your clients smooth and easy. 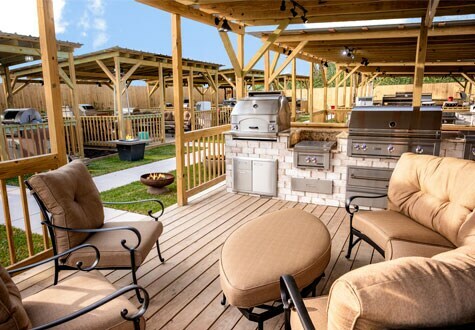 Our extensive inventory of outdoor products includes freestanding and built-in grills, outdoor kitchen components, luxury patio furniture, and much more. Join us today and start enjoying the many Pro perks that BBQGuys has to offer! After submitting your information to our dedicated Pro Team, we'll be in touch within 24 hours to consult with you on your business needs. Feel free to use the contact form below or email us at pro@bbqguys.com. Ready to place your first order now? Call our Pro Team at 1-877-298-6375. Click here to receive emailed tips and exclusive pro perks. Outdoor Kitchens are our specialty. Offering in-house design services, we strive to create the Outdoor Kitchen of our customers' dreams. Contractors can rest easy knowing that their projects are in good hands. They call us the grilling experts for a reason. 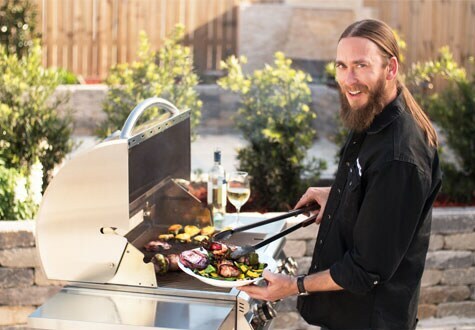 We've got the best selection of BBQ Grills and Smokers to complete any backyard oasis. An outdoor room isn't complete without furniture or heating/cooling components. 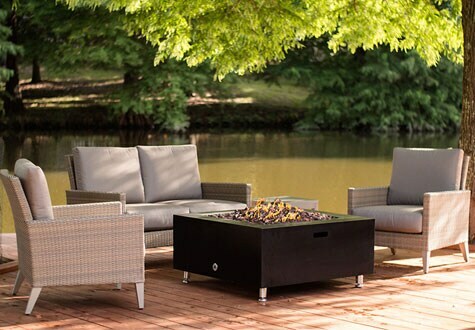 Shop our curated selection of patio furniture in all the latest trends and styles. Our free 3D design services (a $300 value) will help you plan and envision an outdoor kitchen customized to fit your space. 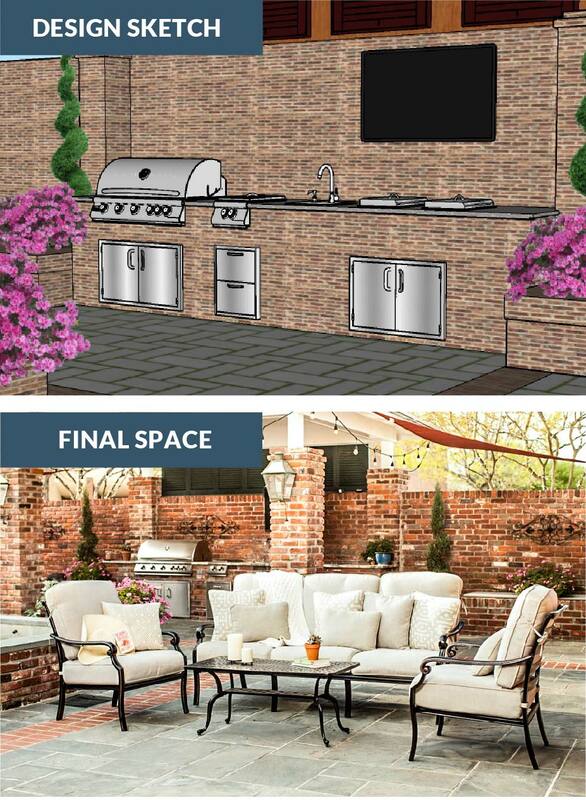 After approving the final sketch, your design expert can assist in placing the order for your selected outdoor kitchen appliances, fixtures and furniture. This service is perfect for Pros, ensuring all the chosen appliances and furniture will fit your project. The process is easy! Welcome to the BBQGuys Pro Services Program. One of our experts will reach out shortly to assist you.